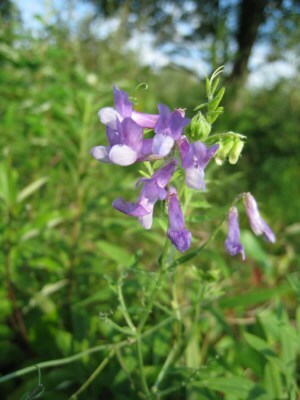 A Eurasian species, thoroughly naturalized and our commonest vetch in Michigan, but not collected here before 1902, when it was recorded as rare in Bay Co. Roadsides, fields, railroads, fencerows, dumps, and other disturbed places; invading shores, open forests, and dunes. Pink- and white-flowered forms are occasionally found. The calyx teeth are much more elongate and even hair-like in this species when compared to V. cracca. In a very few collections, the stems and other parts are glabrous or nearly so, and the calyx teeth shorter. These have been called V. dasycarpa Ten., but such plants are now often treated as V. villosa subsp. varia (Host) Corb. MICHIGAN FLORA ONLINE. A. A. Reznicek, E. G. Voss, & B. S. Walters. February 2011. University of Michigan. Web. 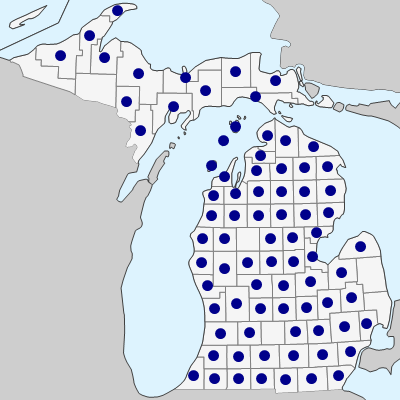 April 26, 2019. https://michiganflora.net/species.aspx?id=1367.